Blocks are approximately 1-1/2" x 1" x 5" and scales are approx. 1-1/2" x 3/8" x 5" and are sold as a pair. Stabilized woods have been impregnated with special plastics and sometimes dyed to enhance colors.This is done in a vacuum chamber. Shrinking, cracking, expanding and warping are eliminated. 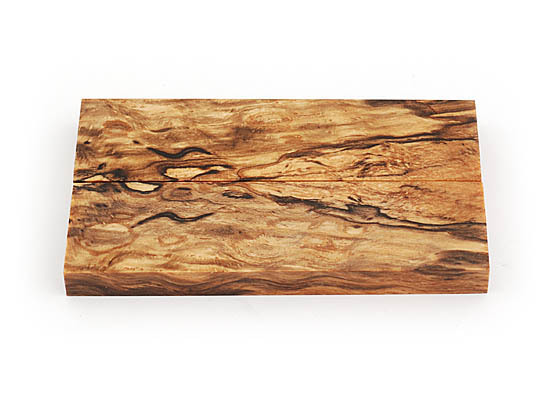 Stabilized wood is very easy to polish and does not need to be sealed. These are representative samples. The burl and color may vary because of variation in the natural wood. Barrel Pivot Pin - 1/8" x 3/8" x 2-56"